Light in weight. 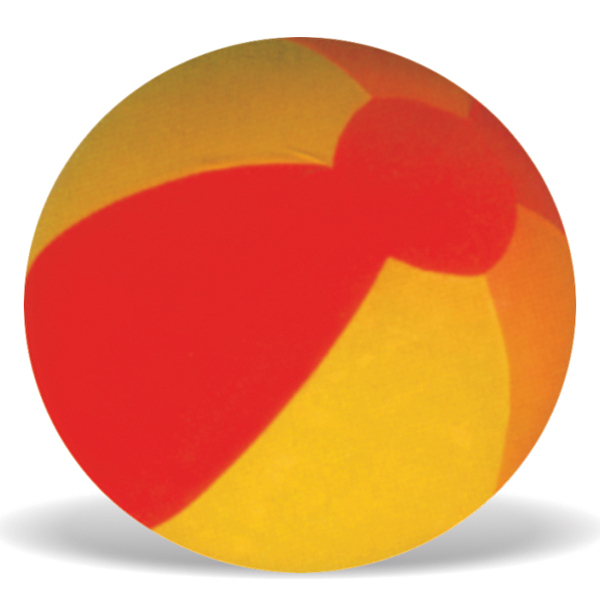 Made of plastic, suitable for beaches or other indoor games. Available in different shapes and colours. Cover made of cotton / nylon cloth with balloon inside. Lighter in weight with a slower bounce and suitable for children. Helps in improving eye-hand coordination. Re-usable. Available in various sizes and colour patterns. CCB-N12. ...... ...... Same as CCB-C12. in nylon cloth. CCB-C12. ...... ...... One Cloth cover 12" diameter and three balloons. Beach toys made of good quality plastic. 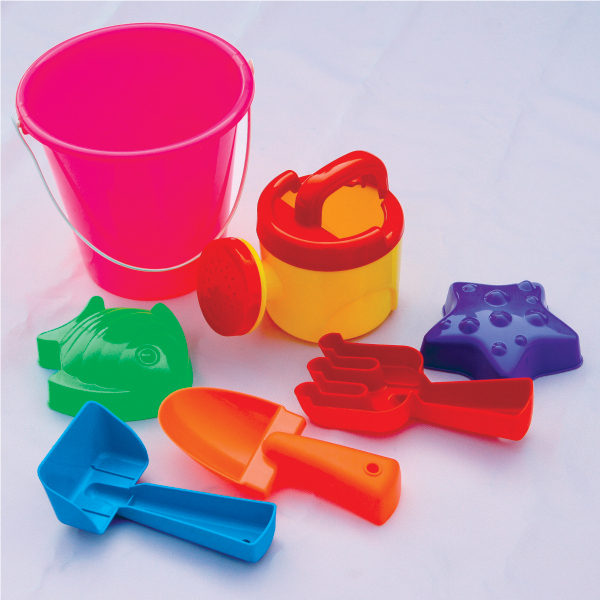 Set includes 5 different beach toys: Fish, Star, Rake, Shovels and Water Pot. All come in a classic style beach bucket. An ideal toy for sandpit, garden or beach. Beach toys made of good quality plastic. Set includes 5 different beach toys: Fish, Star, Rake, Shovels and Water Pot. All come in a Castle shaped beach bucket. 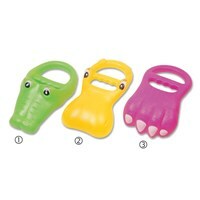 An ideal toy for sandpit, garden or beach.